When we experience mental health problems, our day-to-day lives and our relationships with those around us can suffer. We all have bad days and times when things are not going right for us. That is just part of life and nothing to get worried about. However, there are times when those bad days turn into bad weeks and we can begin to feel stuck. 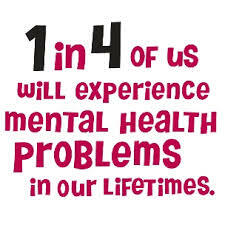 It can be considered a ‘mental health problem’ when our feelings, thoughts, beliefs or behaviour negatively affect our day-to-day lives and activities and we cannot seem to, or don’t know how to, move past those feelings, thoughts, beliefs or behaviour. 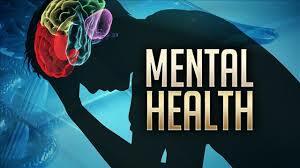 Mental health problems can range from temporary feelings of stress or depression to longer term feelings of deep depression, despair or anxiety. In more extreme cases, it can seem like someone is losing touch with reality, at least in the eyes of other people. There are a number of different ways of understanding mental health problems. Some people believe that a medical understanding of mental health problems is the most valid approach. Others believe that a social understanding, taking account of life circumstances, should come first. 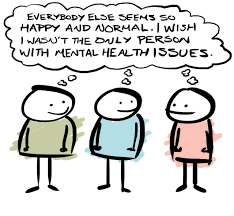 Mental health problems can affect absolutely any of us. While it’s not always know what causes a mental health problem, there are number of factors associated with the onset of a mental health problem. Stressful life events – stressful experiences like grief or loss, experiencing violence or a traumatic accident may trigger mental health problems. Family environment – if people grow up in a family where they never felt loved or cared for or have been abused, this can affect mental health. Sometimes parents themselves felt unloved or had problems growing up and therefore may not know how to show love or care to their own children. Drug abuse and alcohol – there is a relationship between drug and alcohol abuse and mental health problems, it’s not always clear which comes first though. Family history – many mental health problems are related to family history whether based on genetics (nature) or experience (nurture) – meaning if a family member has a mental health problem, others in the family may be at higher risk of experiencing one as well. It is normal for our attitudes, mood and behaviours to change from time-to-time. But, if you notice any of the above signs in yourself or someone you know that last for a couple of weeks or longer, it is important to act on those concerns. Acting on concerns about a mental health problem will usually mean reaching out for some extra support. That support can come from many different places. It can mean speaking to a trusted friend or a family member or it could also mean accessing support service in the community or speaking with a GP. The source of support will depend on the nature of the problem and personal circumstances. Whatever support is used a starting point, the earlier you get support, the better. There are hundreds of different ‘labels’ put on mental health problems. While some people don’t like the idea of putting a label on mental health problems, others find it reassuring and helpful to be able to describe what they are feeling or experiencing. Anxiety – which can be described as an uncomfortable and sometimes irrational feeling of fear or dread usually brought on by specific situations or circumstances e.g. social situations. Depression – the word ‘depression’ is sometimes used to describe everyday feelings of sadness. Depression is also a clinical term used by doctors and other health professionals to describe an ongoing experience of low mood and other symptoms such as poor appetite, disturbed sleep, waking early and a lack of interest in everyday activities and hobbies. Eating disorders – are complicated and severe disturbances in eating behaviours which can involve eating too little and an unhealthy obsession with wanting to be thin. They can also involve binge-eating, sometimes with strong feelings of guilt and the need to get rid of the food. Bipolar – in clinical settings ‘bipolar disorder’ replaced the term ‘manic depression’. It is usually associated with fairly extreme ups and downs that are sometimes described as ‘mood episodes’. Schizophrenia – schizophrenia describes a mental health problem involving disturbances in a person’s thoughts, perceptions, emotions and behaviour. It can involve hallucinations and the appearance of being out of touch with reality. Hearing voices – there are other ways of understanding or describing mental health problems and some people who might be given a diagnosis of schizophrenia because they have hallucinations or hear voices others don’t hear, prefer to identify as ‘voice hearers’. Whatever the issue, whether it has been going on for a short while or for longer, whether it only impacts your life a little or a lot, get some support. Speak with a friend, a family member or someone else you trust. Support can also mean ‘self-help’ which might simply involve doing things that make you feel better. Getting past a mental health problem, or learning to cope with the experience of having an ongoing mental health problem, is a journey. However small the first step is, it doesn’t matter, just take it, begin your journey. Step-by-step, mental health problems can be tackled. The earlier we start tackling them, the better. If you feel overwhelmed please contact me and together we can work towards inner healing.